Herbert Hovenkamp teaches antitrust law, American legal and Constitutional history, torts, and innovation and competition policy. He is a Fellow of the American Academy of Arts and Sciences, and in 2008 won the Justice Department’s John Sherman Award for his lifetime contributions to antitrust law. Hovenkamp is the author of several books and approximately 200 articles and book chapters. 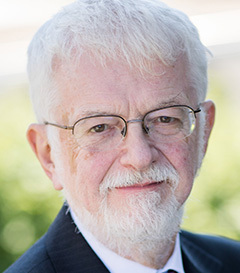 His principal writing includes The Opening of American Law: Neoclassical Legal Thought, 1870-1970 (Oxford, 2015); Antitrust Law: An Analysis of Antitrust Principles and their Application (formerly with Phillip E. Areeda and Donald F. Turner) (22 vols. ); Creation Without Restraint: Promoting Liberty and Rivalry in Innovation (with Christina Bohannan) (Oxford, 2012); The Making of Competition Policy: Legal and Economic Sources (Oxford, 2012, with Dan Crane); The Antitrust Enterprise: Principle and Execution (Harvard, 2006); Federal Antitrust Policy: The Law of Competition and Its Practice (West, 5th ed. 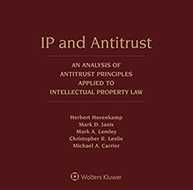 2015); IP and Antitrust: an Analysis of Antitrust Principles Applied to Intellectual Property Law (with Mark D. Janis, Mark A. Lemley, Christopher Leslie, and Michael Carriers) (2 vols., Aspen, 3d ed. 2017); and Enterprise and American Law, 1836-1937 (Harvard, 1991). He has consulted on numerous antitrust cases for both government and private plaintiffs. 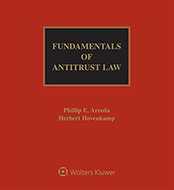 Published in a single-volume with an annual update, Fundamentals of Antitrust Law, Fourth Edition provides sophisticated coverage of the topics most cited or litigated in the field. Whether you are developing litigation strategy, counseling clients on compliance, representing clients, or advising. Antitrust Law gives you all the law you need to avoid antitrust liability. Buy or subscribe today.